Coffee Hour is held on Sunday mornings September through May at both Parishes. Volunteers coordinate the set up and serve as host/hostess. Parishioners are asked to donate baked goods. Coffee hour provides an opportunity to greet and have discussions with fellow parishioners, new members and friends. It also provides a venue for visitors to come, have some refreshments and, if they so desire, learn more about our Parish. Contact Suzanne Nichols, 883-0672 for the address. All are most welcome to join us. Bridge Club meets every Friday at 9:30 AM in the SJW Library on the 2nd floor of the Parish Center. The contact person for this group is Barbara Harvey, 638-2789. As Christians, our faith provides a perspective that enables us to see our bounty as a gift from God. Thanksgiving is a holiday traditionally celebrated with a large dinner shared among family and friends. 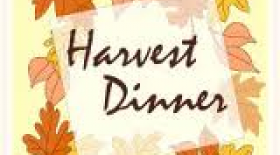 In 1992 St. Joseph the Worker began our own tradition of sharing with all the parishioners the opportunity to come together as a Parish family to celebrate a Harvest Dinner. The dinner is held annually, usually the first weekend in November following the Saturday evening liturgy. The parish provides the meat and those attending are asked to consider bringing a favorite dish. Sign up sheets are provided ahead of time to indicate your willingness to come, what you might bring and how you can help. All parishioners are invited and encouraged to participate so that as a Parish Family we can celebrate with grateful hearts God’s abundant love. St. Joseph the Worker’s Mission statement reminds us that while life has challenges, most pointedly life is a gift. We walk with Jesus and with one another cherishing the gift and sharing our lives. The story of the Last Supper portrays a bond of community and love of Jesus. On Holy Thursday, following the evening Service, the parish joins together to enjoy a covered dish supper. Families are asked to bring a dish and gather in the Parish Center to share a meal as a parish family. We celebrate, as Jesus did at the Last Supper, in community among our family and friends. 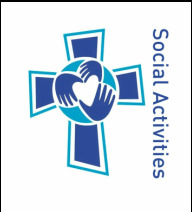 The St. Joseph’s Senior Club is an organization which offers an opportunity to members to participate in recreational, cultural and educational activities. Eligible seniors are sixty years of age or older. Meetings are held the second Wednesday of the month and begin with a covered dish meal. The club strives to promote friendship and engage in community service. Members from within the group organize travel to unique places including one-day trips for lunch, theater, shopping or sightseeing. Occasional overnight trips are also planned. Special events take place during the holiday seasons. New members are always welcome. Come to one of the meetings on the second Wednesday of the month.